Just as this year’s vintage is on the brink of harvest, South Australia’s wine makers gather together for the Cellar Door Festival. Held over a weekend with free wine, spirits and beer tastings from over a hundred producers, this can get a bit messy. Hence this year’s greater emphasis on food, both for purchase, as part of degustation (food and wine pairing) events, and sampling – chocolate, cheese, olives – all the good stuff! We were lucky to score a couple of free tickets and were able to squeeze a quick visit between Fringe shows (yes, it is Mad March again). With the whole of South Australia under one roof it’s a great way to explore the regional specialities or try an unfamiliar varietal. With all of South Australia’s fifteen wine regions represented, we chose to avoid the big names: Barossa and Clare Valleys, McLaren Vale, Adelaide Hills, going instead to Coonawarra (famous for its cabernet sauvignon), Langhorn Creek (elegant maritime climate reds), Southern Fleurieu and Riverland. Not all wineries have “cellar doors” (i.e. retail outlets on-site, often with restaurants attached and always in idyllic locations), so one of the best things about the Cellar Door Festival is sampling the wines from those that don’t. 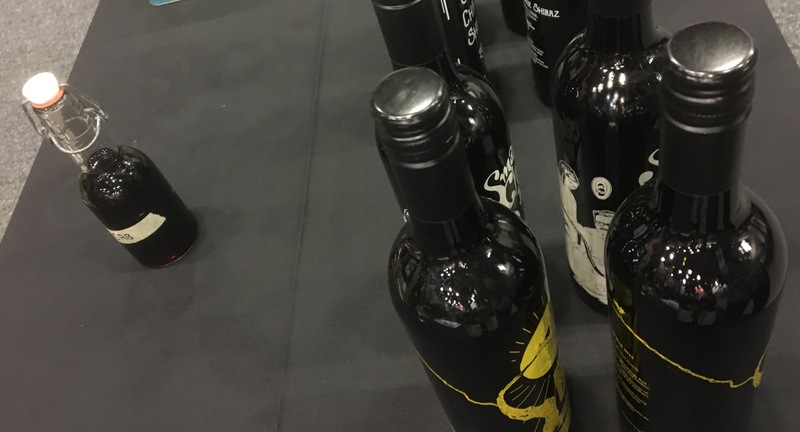 Many small producers sell exclusively to restaurants or speciality wine shops, such as the excellent Small Change Wines with whom I spent a happy half hour, even trying some unreleased experimental wine (the little bottle opposite). Wine tasting can be socially challenging. What if you don’t have the “wine-wanker” vocabulary? If you struggle to distinguish your chewy tannins from flabbiness, zest and minerality, fear not. 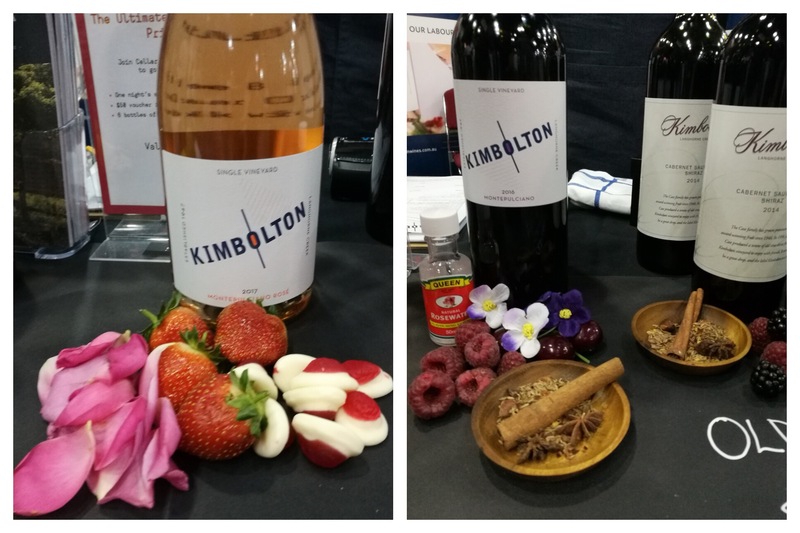 Kimbolton Wine‘s ingenious display removed the need for a highly tuned palate, by showing the varietal’s flavour elements physically. With the whole of South Australia under one roof it’s a great way to explore the regional specialities or try an unfamiliar varietal. It’s also nice to revisit “old friends” such as 919 Wines or Lake Breeze and to plan the next wine country mini-break. Chocolate (and cheese- and Champagne) is a state of mind.